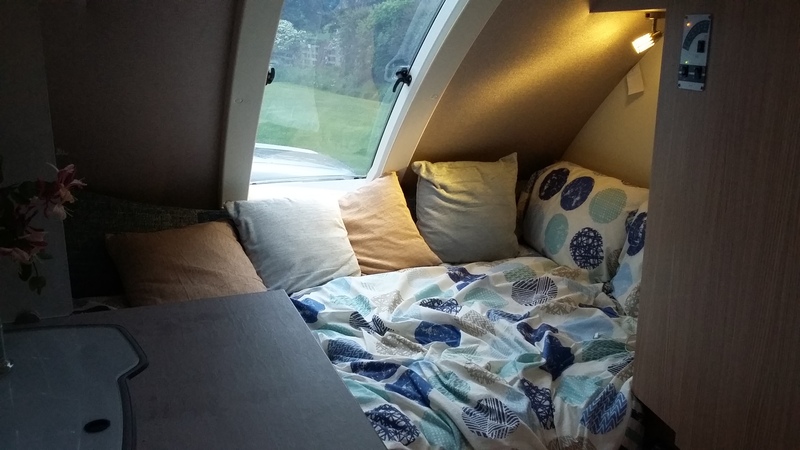 You don't need your own caravan to stay at Doe Park - meet our cool and quirky t@b caravan! Fully equipped with everything you could possibly need and set up for your arrival, all you need to do is turn up and wind down. 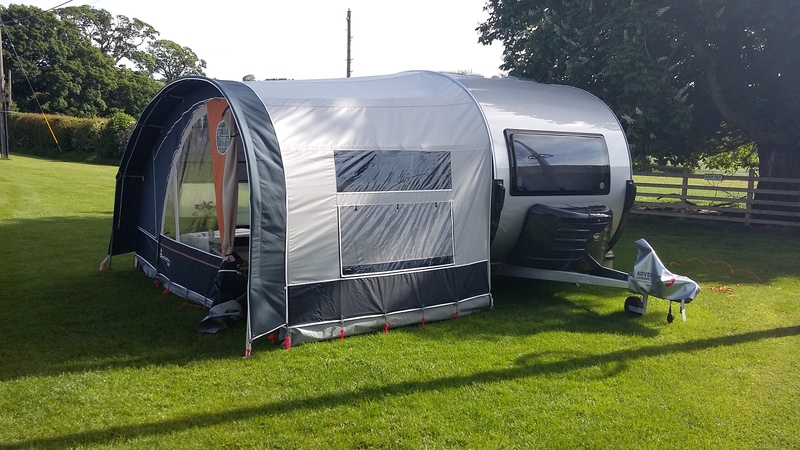 Suitable for two people and pets by arrangement, our brand new t@b has a fixed bed, kitchen, dining area, washroom, heating system and full awning complete with outdoor furniture. 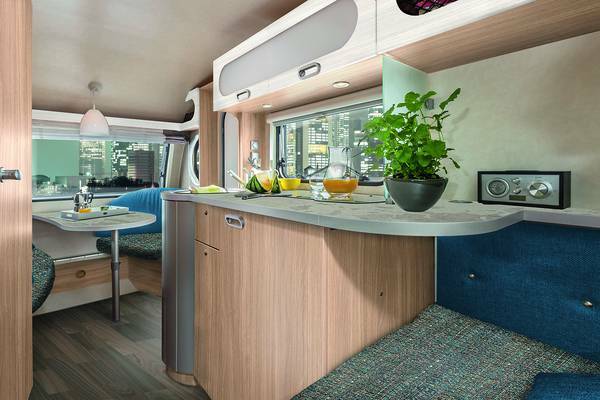 The t@b is cleverly designed to make maximum use of space whilst still feeling uncluttered, stylish and most of all, comfortable. 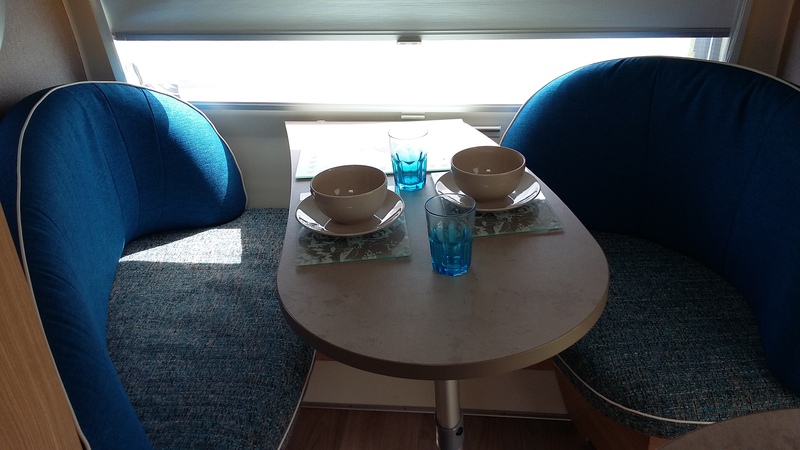 Attention to detail such as clever storage solutions, subtle lighting and quality fixtures make a stay in our t@b more luxurious than other glamping options.